Rice is the most commonly known cereal grain in the world and many of us eat it in our daily meals. Yet, we never really question where it comes from or what exactly it is. And here’s the biggest question surrounding white and brown rice: is it healthy or not? Let’s find out. Rice can be the seed of two different grass plants: Oryza sativa (Asian rice) or Oryza glaberrima (African rice). Rice comes in third highest in worldwide production after sugarcane and maize. It is a dietary staple, especially in Asian countries. And in the Western world, the consumption of rice increases yearly. Rice is mostly carbohydrates. Its main components are amylose and amylopectin. These carbs are so-called starches. Basmati rice, for instance, is made up of mostly amylose which is known as a resistant starch. It also makes rice less sticky. Other white rice — like the kind used for sushi or rice pudding — has a much higher amount of amylopectin. This sticky rice has the ability to elevate blood sugar levels more and it is digested faster. The answer to this question is a little more complicated than a simple yes or no. First, a couple of years ago, the FDA released a statement that rice may contain higher amounts of inorganic arsenic which is more toxic than organic arsenic. This is due to the fact that rice absorbs it much easier than other plants. In response, a plan was developed to limit the consumption of inorganic rice cereal for infants. The Consumer Report Magazine has published a document listing varieties of rice and how much arsenic can be found in each one. According to this document, brown rice is actually much higher in arsenic than white rice. This is probably because the shell has not been removed from the grain, which contains some of the arsenic. What nutrients are found in rice? 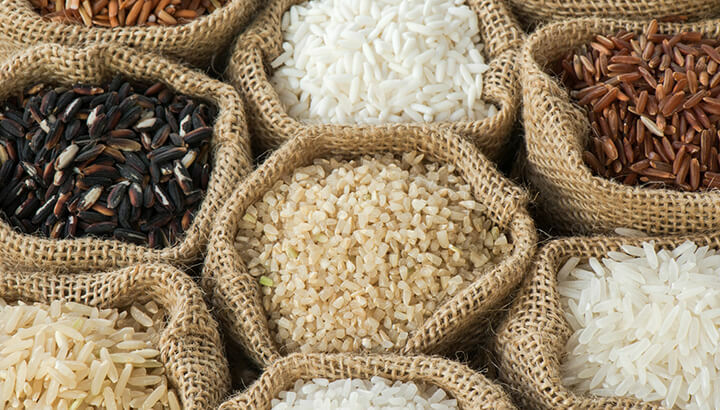 Before we determine whether or not we should quit eating this dietary staple, let’s first discuss what kinds of nutrients can be found in rice. Manganese: a trace mineral that is important for growth, metabolism and development. Selenium: a mineral that’s beneficial for its antioxidant properties. Magnesium: is mostly found in brown rice and can help calm nerves, ease muscle tension and treat insomnia. Niacin: also known as vitamin B3, this is important for helping with the digestive system, nervous system and skin. Thiamine: also known as vitamin B1, this is important for the heart, muscles and metabolism. Brown rice is brown because it still has a shell. This shell is a protective layer for the grain on the inside. It does contain some micronutrients like ferulic acid, which is known for its antioxidant properties. However, this shell also contains something called phytic acid. Phytic acid is an antioxidant that can interfere with the absorption of zinc and iron when absorbed in large quantities. Because of this, it is recommended to soak and sprout brown rice before consumption to reduce the amount of phytic acid. Isn’t rice a health food? We may look at rice as a healthy food because we see that Asian populations are healthier, skinnier and live longer. However, with the introduction of grains and more refined carbs, the Japanese will likely start seeing more obesity and a shorter lifespan as well. In the meantime, yes, Asian countries do eat a fair amount of white rice. Other staples are seafood, meat, sea vegetables and fruits. All of these foods contain plenty of nutrients which may explain their longer lifespans. Let’s not forget bio-individuality. What may be a health food for one group could be the opposite for a different group considering their heritage and ancestry. Growing up in different parts of the world, our bodies have adjusted to different foods. With all of this information, one question remains. Should you eat rice? Maybe, but it may be best to do so in moderation. Here are a few ideas to help you make up your own mind about rice. First, it is advisable to try and purchase a brand of rice that was grown in the United States — like rice from California. The arsenic content is below what is considered the safe limit of 1.6ppb per serving (1/4 cup uncooked). Rinsing rice with plenty of water before cooking will further decrease the amount of arsenic left over. If dark rice is what your heart is aching for, then it is recommended to soak and sprout it. This will reduce the arsenic and the phytic acid as much as possible. The sprouting process of brown rice is relatively easy and can be done within two to three days. It is advisable to use a sprouting jar or sprouting mesh. If you are familiar with sprouting other grains and legumes, then this will be an easy addition and make so much sense. As for those with type 2 diabetes, you’ll be watching your sugar and carb intake closely. If rice is a food you love to eat, then you’ll definitely want to look at the glycemic index of the different varieties of rice. 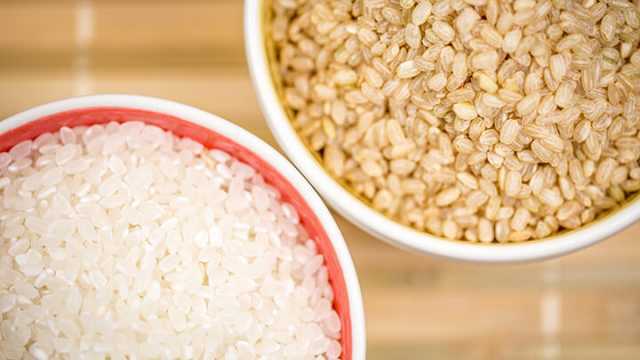 Make sure you’re getting the kind of rice that doesn’t spike blood sugar quite as much. 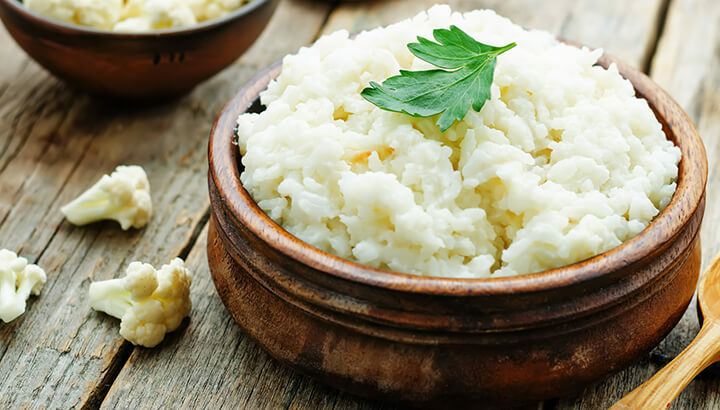 From a weight loss perspective, it may be advisable to kiss rice goodbye for a while and replace it with cauliflower rice. While some say it’s a poor excuse for rice, others have adopted it permanently into their diets. Plus, some grocery stores now carry cauliflower rice refrigerated or frozen. We seem to be under the impression that rice cereal is the first solid food a baby should eat. But, considering the news on arsenic found in rice products. Also take into account that you cannot confirm exactly where the rice came from. For those reasons, it’s probably a better idea to stay away from it. Babies are perfectly capable of eating well-cooked, mashed vegetables as their first food. And if you nurse for longer, they just may start with soft pieces of real food. No rice cereal required. Previous articleShould We Torture Animals? Hey Buddy!, I found this information for you: "The Truth About Rice: Is It Really Healthy?". Here is the website link: https://www.thealternativedaily.com/the-truth-about-rice/. Thank you.